The will be something really new at the Geneva motor show next month. More than a car, it’s a new brand. 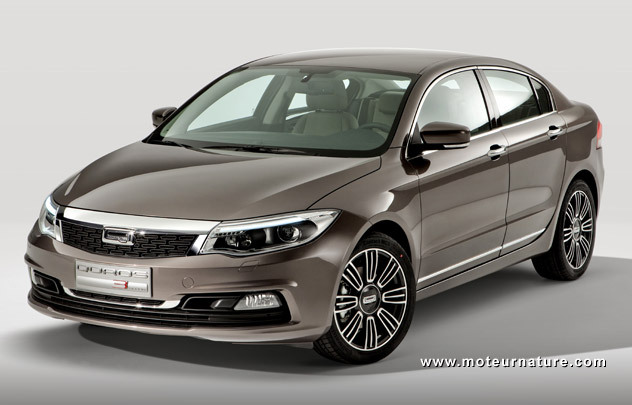 This is Qoros, a Chinese-Israelian car company. Production will be in China, by Chery, but thanks to Israelian funds, most engineering work was done in Europe by renowned consulting firms. Their first car is the Qoros 3 Sedan above. It’s a bit larger than a Chevrolet Cruze, though not as a big as a Malibu. It should be sold in most of Europe and Asia but it’s already clear that it will not be successful in Europe. European buyers like hatchbacks, compacts or SUVs, and sales of mainstream sedans like this one have been poor, and declining, for many years. This Qoros won’t change that. Base engine is a 126-hp 1.6-liter, with a 156-hp turbocharged version as an option. Nobody will get excited about that, but there’s more to come as a hybrid concept shows. 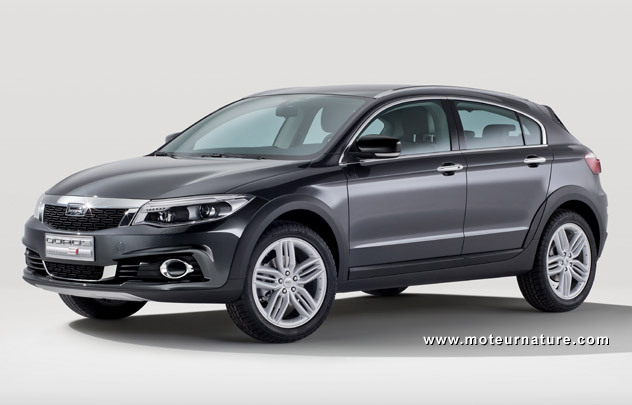 This Qoros 3 Cross Hybrid Concept differs from the production sedan by a raised suspension, a hatchback body, and an innovative 4WD hybrid drivetrain. The 1.6-liter 4-cylinder has been replaced by a 3-cylinder 1.2-liter (I suppose it’s the same engine minus one cylinder, but Qoros doesn’t says it). An electric motor is mounted alongside, and there’s another electric motor next to the rear axle. All that makes for a promising 4WD hybrid, but there are many questions unanswered. Will this concept evolve into a production model? What will be its price, and who will sell it? At this time, there isn’t a single Qoros dealer anywhere in Europe. We’ll see in Geneva what’s for real.